Witness the revolution of hand-to-hand combat! 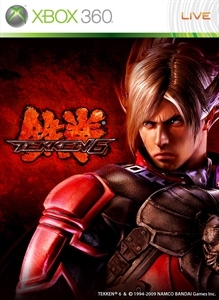 Download the Tekken 6 Namco Bandai Games Editor’s Day trailer! WITH OVER 33 MILLION UNITS SOLD WORLDWIDE, THE NO.1 FIGHTING GAME FRANCHISE OF ALL TIME SOARS ONTO THE NEXT GENERATION PLATFORM WITH UNBRIDLED VENGEANCE! Publisher: NAMCO BANDAI Games America Inc.